Have you ever felt a twinge or a twitch in your stomach? Maybe it happened after a meal or as you bent a certain way. This is a stomach spasm, also referred to as a cramp. It can be a mild sensation or slight pain caused by the muscles of your stomach wall contracting. In some cases, the “stomach spasm” is the result of the abdominal wall muscles contracting rather than the internal organ. Let’s discuss the causes of stomach spasm and abdominal muscle spasm and natural remedies to treat these cramps. Our stomach muscles allow movement of the internal organ during the digestive process. Spasms are the involuntary movement of such muscles in digestion as well as with muscle tissue injury. They may indicate digestive problems or an underlying medical condition. It is important to note that stomach spasms are a symptom and not a condition itself. One of the most common causes of stomach spasm is hunger pangs. Your brain signals the stomach when your body is lacking food, and your stomach muscles may begin to twitch or cramp. Patients with peptic ulcers or gastritis may experience these contractions with greater intensity. Every part of our body needs water, and our abdominal muscles are no different. We know the feeling of thirst as a sign that dehydration is beginning to set in. At this point, our muscles are lacking the water required for the proteins within them. Without the essential amounts of water, magnesium, calcium, sodium, potassium, and glucose, our muscles begin to fail, resulting in muscle spasms. Some may claim to have an iron stomach when it comes to consuming spicy foods, but for many us, the stomach can easily be irritated. Medications and excessive use of alcohol can weaken the lining of the stomach, making it susceptible to inflammation. This may result in the condition gastritis, which can lead to stomach spasms. H. pylori is a common bacterial microorganism that enters your stomach causing infection and muscle spasms. Viral infections such as gastroenteritis, toxins from protozoal infections, and any infection that lowers your stomach acid levels can trigger spasms as well. Muscle spasms within the stomach and abdominal wall can be present in various autoimmune diseases and disorders. These conditions occur when our immune system malfunctions and turns on healthy tissue. The spasm symptom is present in inflammatory bowel diseases such as Crohn’s disease. Open sores or wounds, known as ulcers, can appear when our stomach lining is attacked and begins to weaken. Gastritis, H. pylori infection, and foods and drinks that irritate the stomach walls are common causes. Muscle spasms are the mild symptoms, but some patients experience excruciating pain when the tissue is severely irritated. Whether transmitted through food or excessive use of alcohol and medications, toxins can damage our stomach and abdominal walls. You may experience strong muscle spasms as an internal response to such harmful substances. Strain exerted on the stomach muscle can cause major contractions depending on its physical state. The degree of the muscle spasm varies as several muscles may contract the same time. Although exertion is most often linked to athletes and construction workers, it can also be a result of regular household activities such as mowing the grass or shoveling snow. Our stomach’s only protection is the abdominal wall, unlike the organs within our rib cage region. An accident or direct hit to the stomach can cause our muscles to respond with severe spasms. One unique muscle spasm that is felt within the stomach wall stems from the esophagus. An esophageal spasm may occur with anxiety, gastroesophageal reflux, or in response to varying temperatures of food and liquids. It appears to be a stomach spasm as the esophagus is physically linked to the stomach. Mild stomach spasms or cramping may be relieved with a few simple home remedies. However, please consult with your doctor or pharmacist before taking any herbal remedies, as some may have side effects or harmful interactions with other medications. Heat is one of the best ways to soothe stomach discomfort and relax muscles. Use a hot water bottle, heated towel, or a heating pad and place directly onto the stomach region. The properties of aloe vera have been used for centuries to combat pain and relieve digestive issues such as gas and constipation. 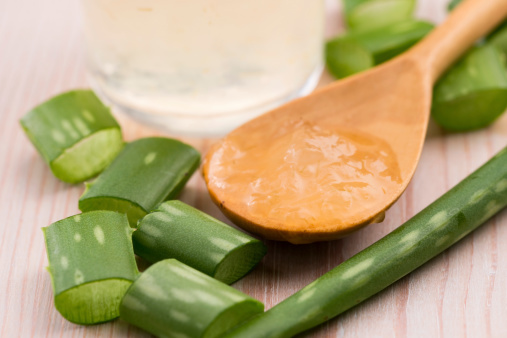 You can drink the juice of aloe vera leaves to ease cramping. Another common digestive aid is apple cider vinegar. It may ease gas, bloating, and pain associated with stomach muscle spasms. Have a glass of warm water mixed with one tablespoon of apple cider vinegar. Avoid taking antacids to eliminate symptoms by using the baking soda found in your cupboard or refrigerator. Combine two teaspoons of baking soda in a glass of warm water. Raw fennel seeds may aid in clearing digestion issues and relieve mild pain felt with stomach muscle spasms. Chew on one teaspoon of seeds after each meal. Pregnant and breastfeeding women should avoid using fennel seeds. Another great digestive tool is ginger root. Use ginger tea or chew a few pieces of ginger to get rid of gas, bloating, and pain fast. While lacking much scientific research, the leftover water used to make rice is said to have amazing anti-inflammatory properties. Try rice water to curb pain and ease spasms. Drink the warm water from a pot of softened rice cooked with two cups of water and ½ cup of rice. You can add honey to sweeten the taste without adding side effects. The probiotic properties of plain yogurt may also help get rid of cramps. The live bacteria found inside can promote a healthy digestive tract, easing discomfort caused by indigestion. You can make your own plain yogurt with a combination of coriander, salt, and cardamom. Contracting muscles can cause mild pain in the abdominal walls. This may be relieved with the simple taste of peppermint, whether in tea form or raw. Drink a homemade tea of hot water and fresh peppermint leaves. Drinking chamomile tea before bed may help prevent bouts of stomach muscle spasms from waking you up in the night. It may also calm anxiety, which is a cause of spasms. Stomach muscle spasms can signal a mild condition such as hunger or they could be symptomatic of more serious health issues. It is important to recognize any accompanying signs or symptoms for a cause to be determined. There are everyday household products and foods that may ease the contraction of the stomach muscles, but severe abdominal pain and heart condition symptoms need immediate medical attention. Dr. Chris, “Stomach Spasms Causes, Symptoms, Treatment,” Health Hype; http://www.healthhype.com/stomach-spasms-causes-symptoms-treatment.html, last accessed March 1, 2017. “Abdominal Muscle Spasm-Symptoms, Causes, and Treatments,” Med Guidance; http://www.medguidance.com/thread/Stomach-Muscle-Spasms.html, last accessed March 1, 2017. “Stomach Spasm Causes and Solutions,” Safe Symptoms; https://safesymptoms.com/stomach-spasm/, last accessed March 1, 2017. “Abdominal Muscle Spasm Symptoms,” Health Grades; https://www.healthgrades.com/right-care/bones-joints-and-muscles/abdominal-muscle-spasm–symptoms, last accessed March 1, 2017. Fuentes, A., “12 Home Remedies for Abdominal Cramps,” Home Remedy Shop, September 11, 2015; https://homeremedyshop.com/12-home-remedies-for-abdominal-cramps/, last accessed March 1, 2017.